Hepatitis C is a liver ailment caused by the infection of Hepatitis C Virus (HCV). This disease spreads mainly though contact of blood from an affected person. It is a contagious disease which can be mild or serious depending on the severity of the infection. Hepatitis C virus infection can be acute or chronic. The acute infection is short in duration but it can lead to chronic infection, which may last a lifetime. The chronic infection causes serious liver problems, such as cirrhosis or even liver cancer. Acute hepatitis C does not show many symptoms, most affected people show none. However, sometimes symptoms such as fever, fatigue, loss of appetite, nausea, abdominal pain, joint pain, dark-colored urine or jaundice may be observed. 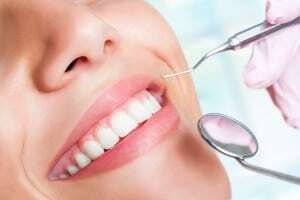 The transmission of this disease commonly occurs by reuse of needles or syringes, razors or toothbrush carrying the virus from the blood of an affected person. The disease may also be sexually transmitted or from an affected mother to the child. Further, those who suffer from hepatitis A or B infection are also at a risk of hepatitis C infection. The treatment of hepatitis C is done through antiviral medications such as Ribavirin, Pegylated interferon, Ritonavir etc. For chronic infections, a liver transplant is often required depending upon the extent of the liver damage. The medications used for the treatment of this disease comes with a number of side-effects which include, dry mouth, headache, nausea, diarrhea, mouth ulcers, etc. There is also a major concern regarding the resistance to these drugs. Moreover, liver transplant also poses some serious concerns like a failure of the donated liver, blood clotting, bleeding, bile duct complications and mental confusion. Since there are limited treatment options available for this disease, the effective natural ways of treatment is much appreciated. The side-effects of the conventional treatment further strengthen the requirement for natural treatment methods. One of the natural remedies that can be looked up to for the treatment of hepatitis C is turmeric. 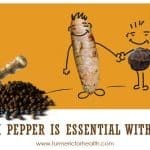 Turmeric is an old world spice obtained from the plant Curcuma longa of the spice family Zingiberaceae. The rhizome of the plant is used fresh or in the dried and powdered form in cooking. The flavor and color of this spice are relished in a number of cuisines. Turmeric is also an integral part of traditional medicines such as Ayurveda. It has long been used for its analgesic and healing properties in traditional medicines. Turmeric consists of a number of biologically active components that endow it with a number of medicinal properties. 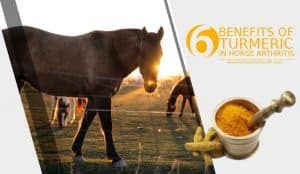 It is most notably rich in curcuminoids that are responsible for the variety of its properties, such as antioxidant, anti-inflammatory, antimicrobial, analgesic, immune-modulatory etc. The other constituents include volatile oils, Vitamins (B&C), proteins, Iron, Potassium, Sodium, omega fatty acids, α-linolenic acid and so on. Research studies prove that turmeric/curcumin can prove to be beneficial in Hepatitis C thanks to its anti-viral properties. 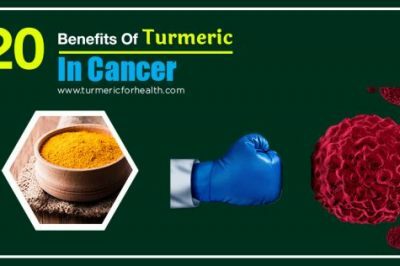 Another benefit of turmeric/curcumin is that it protects the liver from complications arising from the infection along with helping in managing the usual symptoms of the disorder. Lastly, it does not have side effects which are associated with usual Hepatitis C medications. Hepatitis C Virus (HCV) is a RNA virus, i.e. its genome is composed of ribonucleic acids. It enters the human cells and uses several proteins present in the cells to multiply, causing infection. 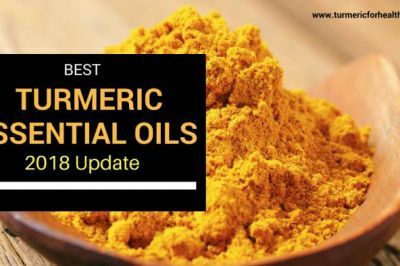 Turmeric possesses significant antimicrobial activity. 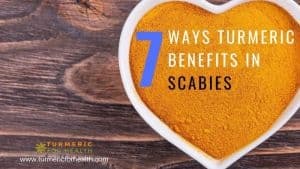 It is known to act against infections by bacteria, virus, fungus, and other parasites. Its major component curcumin has been found to be effective against a number of viruses. Turmeric is known to have an antiviral action against the Hepatitis B Virus (HBV). It could suppress the replication of the virus by enhancing levels of p53 proteins, which have a role in cell death. Turmeric has been studied on the Hepatitis C Virus (HCV) as well. Curcumin is able to prevent the entry of the virus into cells. It does so by changing the fluidity of the viral membrane that impairs its binding and fusion into the cell. Curcumin also inhibits the replication of the virus. It decreases the gene expression of the virus by interfering in certain molecular pathways, which renders it unable to replicate. It means consumption of turmeric can prevent the infection of Hepatitis C Virus, which causes hepatitis C. Turmeric compounds prevent entry of the virus into liver cells as well as inhibit the virus replication, which guards the body against hepatitis C infection. The infection of the Hepatitis C Virus (HCV) results in the inflammation of liver especially, in the case of chronic hepatitis C.
The impact of HCV infection induces inflammation by various molecular pathways that cause oxidative stress. This further leads to the expression of pro-inflammatory molecules, such as cytokines, TNF-α, NF-kappa B etc. The pro-inflammatory response leads to liver damage and can cause cirrhosis and liver cancer. The turmeric component curcumin is a well known anti-inflammatory and antioxidant agent that suppresses various pro-inflammatory molecules. Curcumin’s anti-inflammatory response has been found to be useful against a number of inflammatory diseases. Its major response includes the suppression of NF-kappa B by inhibiting TNF. NF-kappa B activation by TNF is an important mechanism of inflammatory response upon the HCV infection. It means turmeric intake can be helpful in suppressing the liver inflammation caused by the Hepatitis C Virus (HCV). This can further prevent the damage to liver and infection as well. Hepatitis C Virus infection in the long run damages liver cells due to the immune responses that causes inflammation and cellular toxicity. Turmeric has a hepatoprotective action which protects the liver against a number of such responses. Curcumin prevents liver damage by inhibiting inflammatory responses and toxicity induced by various chemical substances. Curcumin also minimizes oxidative stress, alters lipid metabolism and enhances sensitivity to insulin. It is also able to arrest division of cancerous liver cells. All these activities of curcumin contribute to the hepatoprotective action of turmeric. Also, the sesquiterpenes fraction of turmeric has a hepatoprotective effect. It means regular consumption of turmeric can enable the body to protect liver against the damaging effects of the HCV infection. The persistence of hepatitis C leads to many complications, the most common and dangerous ones being cirrhosis and liver cancer. The persistence of HCV in the body leads to a severe immune response in order to eradicate the virus. This eventually becomes toxic for the cell and causes damage to the liver cells. In turn, the uninfected liver cells also get damaged, leads to fibrogenesis (scarring of tissue) and thus, liver cirrhosis. Curcumin from turmeric has been found to prevent the development of liver cirrhosis. This action is primarily a result of its anti-inflammatory activity. HCV infection is one of the major causes of liver cancer. This infection causes cancer in an indirect manner. It first leads to chronic inflammation, then cirrhosis and if left unchecked develops into cancer. 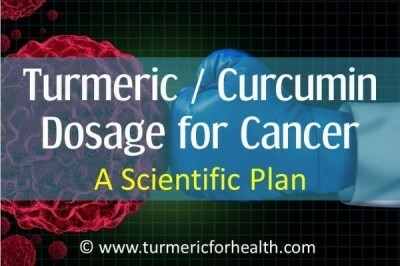 Turmeric is known to selectively kill cancerous cells and shows significant anti-cancer activity. The antioxidant and anti-inflammatory action of curcumin regulates various metabolic pathways, including cell death to kill the cancer cells of the liver. It means turmeric can be used to treat the complications associated with hepatitis C. Turmeric can prevent development of cirrhosis as well as can kill the cancerous cells in liver. Although often Hepatitis C Virus (HCV) infection remains asymptomatic, some of the symptoms may be prevalent among patients with chronic hepatitis C.
These common symptoms include fatigue, gastrointestinal problems, abdominal pain, joint pain, and depression. Fatigue is found to be frequently associated with HCV infection. Studies have found turmeric to be useful in preventing fatigue. Curcumin supplementation was found to enhance energy in the body and prevent fatigue. Various gastrointestinal problems manifest as symptoms of hepatitis C. These include gastric ulcers, diarrhea, loss of appetite, abdominal pain, etc. Turmeric is a gastroprotective substance. It prevents a number of ailments in the stomach including ulcers, digestive problems, irritable bowel syndrome etc. Thus, turmeric can be used to relieve these symptoms in hepatitis C patients. HCV infection can trigger arthritis in the hepatitis C patients which occurs due to immune responses. This causes pain in the joints. Pain relieving property of turmeric is helpful in reducing the joint pain. Several studies have confirmed its benefits in case of arthritis. 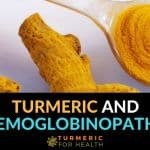 Turmeric modulates various metabolic pathways to reduce inflammation and pain related to arthritis. Depression is common in hepatitis C patients not only due to social factor but also due to interferon-based therapy. Interferon-based drugs are used as antiviral in the treatment of HCV infection. Interferon is known to induce depression in patients. Turmeric has anti-depressant like activity as well. Curcumin is found to reduce depression in people with major depressive disorders. Thus, turmeric can be useful in the treatment of depression related to HCV treatment drugs. It means turmeric intake can help in management of a number of common symptoms associated with hepatitis C. It can help to prevent fatigue, gastrointestinal problems and reduce joint pain. It can also help to combat the depression caused by social factors as well as interferon based drugs. There are no particular specifications given for the dosage of turmeric for hepatitis C. Turmeric is known to be a very safe dietary product and can be regularly used without much concern. 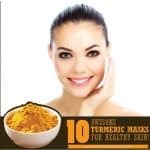 A way to enhance turmeric’s absorption in the body is its use in the form of Golden Paste (it consists of black pepper and other healthy oils added to turmeric). 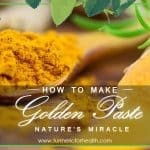 Golden Paste can be made using turmeric powder as well as fresh turmeric root. 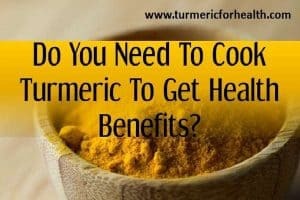 The recipe using turmeric powder can be found here and be using fresh turmeric root can be found here. Consumption of turmeric should be started slowly. Initially, it should be taken a quarter to half a tablespoon every day for a week. The quantity can be increased gradually by a quarter of half a tablespoon per week. The most recommendable quantity is 1 to 2 teaspoons twice or thrice a day (precisely1 teaspoon 3 times a day). 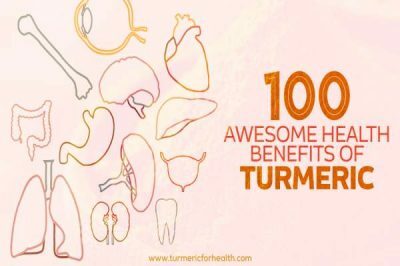 The dose of turmeric cannot be the same for every individual. It varies from one person to another. This variation depends on the dosage that can be tolerated by one’s stomach. 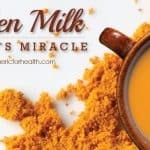 Turmeric milk and Turmeric tea are some tasty options for turmeric intake. 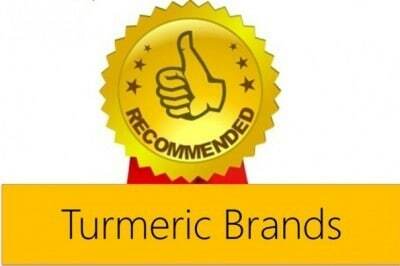 Check out our recommendation on best organic turmeric brands, if you want to look for some good organic turmeric brands. 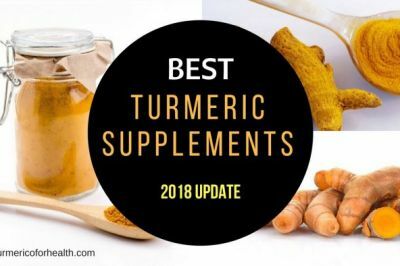 Turmeric supplements can also be considered a viable option for turmeric use. However, the advice of a medical practitioner is very important prior to their use in order to avoid any adverse effects. 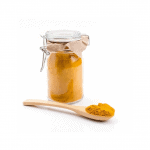 Dietary amounts of turmeric are considered very safe. There are a number of cuisines that have regular use of turmeric. No adversity has even been associated with the dietary intake of the turmeric. It is advised that turmeric must not be taken with certain medicines like blood pressure drugs, diabetes drugs, blood thinners etc. Curcumin found in turmeric is known to interfere with drug metabolism. Hence it is advised not to take curcumin supplements concomitantly with any other medicine. 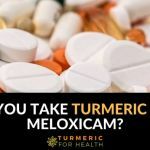 Do not take turmeric supplements if you have a bleeding disorder. 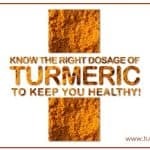 Although the dietary use of turmeric is safe here turmeric supplement should be avoided in case of bleeding disorders. It is advisable to stop the use of turmeric supplements around 2 weeks before surgery. It is so because turmeric being a blood thinner can interfere in the process of blood clotting after surgery. Avoid use turmeric supplements if you are pregnant or breastfeeding. Hepatitis C is a fatal disease for which no vaccination is available. Also, there are little treatment options but they have a lot of side-effects. 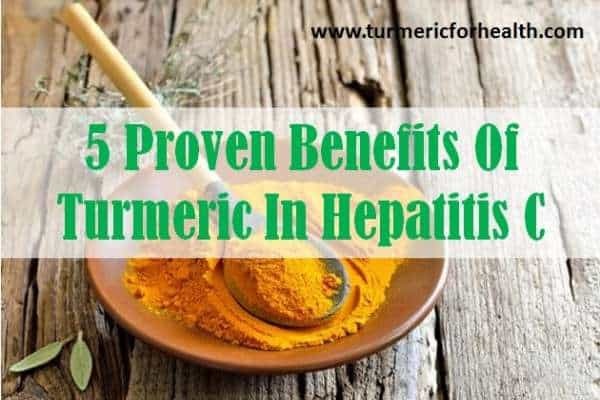 In these situations, turmeric is a boon against hepatitis C.
Turmeric is a very effective antiviral which can prevent Hepatitis C Virus infection. It also protects the liver against the deadly complications of the infection. Additionally, turmeric is beneficial in the management of several hepatitis C symptoms. 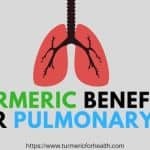 All these benefits of turmeric can be useful not only in the prevention and treatment of this disease but also help in better coping with it.